FOUNTAIN VALLEY, Calif., Jan. 10, 2019 /PRNewswire/ -- In a first-of-its-kind application from an automaker in the U.S., Hyundai has introduced "Hyundai Showroom Live," a new live video chat platform on HyundaiUSA.com that provides an engaging and informative experience for customers. The video chat service allows users to dynamically interact in real time with a product specialist, who will answer their questions live as if both the user and specialist were in a showroom together. As car shoppers today want a more personalized and transparent car buying experience, this feature allows them to conveniently learn more about Hyundai vehicles. In a first-of-its-kind application from an automaker in the U.S., Hyundai has introduced “Hyundai Showroom Live,” a new live video chat platform on HyundaiUSA.com that provides an engaging and informative experience for customers. "Hyundai strives to improve the car buying experience, and the new 'Hyundai Showroom Live' feature leverages new technology for a more engaging, personal and interactive experience with our products," said Dean Evans, CMO, Hyundai Motor America. "Customers are shopping fewer brands and completing most of their research online, so this tool is an opportunity for them to learn more about our vehicles from the comfort of their home. And when they decide to move forward in the buying process, a simpler and more modern car buying experience will be waiting for them through Shopper Assurance." The video chat live feed occurs three days a week—Tuesdays, Wednesdays and Thursdays—from 8 a.m. to noon, Pacific Time. Each session will last 1 hour, with a 30-minute break in between. During the hour-long session, a Hyundai product specialist will provide a detailed exterior and interior walk around of a Hyundai vehicle and will respond to specific questions submitted by customers. A different Hyundai model will be rotated in the studio each day. At the scheduled times, the interactive chat platform, "Hyundai Showroom Live," will automatically launch on the Hyundai website homepage and prompt interested consumers to enter. Users can ask a question of the presenter at any time through the video chat window. The product specialists see questions on their iPad screens, which also contain quick reference information about each vehicle to answer more technical user questions. Customers can easily click to the other sections of Hyundai's website to learn more about the vehicle or to find a dealer near them. They can also continue the buying process and take advantage of Hyundai's Shopper Assurance conveniences, which include transparent pricing, flexible test drives, a streamlined purchase and a three-day worry-free exchange. When the service is offline, customers get a message about the times when the sessions will be hosted. "Hyundai Showroom Live" is powered by Whisbi, a video chat provider that INNOCEAN USA, Hyundai's agency of record, identified as a unique new way to engage consumers. INNOCEAN worked with Whisbi to bring the program to life and is managing the on-set production. 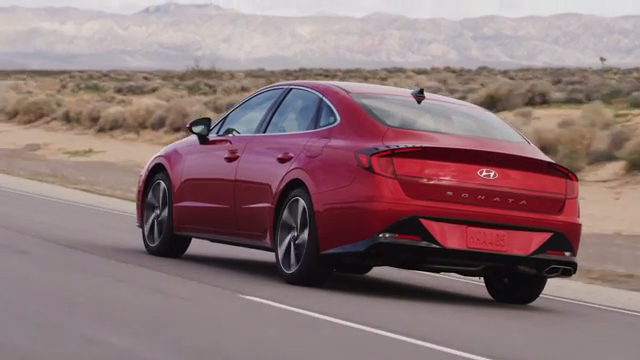 Hyundai Motor America is focused on delivering an outstanding customer experience grounded in design leadership, engineering excellence and exceptional value in every vehicle we sell. Hyundai's technology-rich product lineup of cars, SUVs and alternative-powered electric and fuel cell vehicles is backed by Hyundai Assurance—our promise to deliver peace of mind to our customers. Hyundai vehicles are sold and serviced through more than 830 dealerships nationwide, and the majority sold in the U.S. are built at U.S. manufacturing facilities, including Hyundai Motor Manufacturing Alabama. Hyundai Motor America is headquartered in Fountain Valley, California, and is a subsidiary of Hyundai Motor Company of Korea.